Baby Booties Pattern II sneak peak — Diane F Butcher Pattern Co. 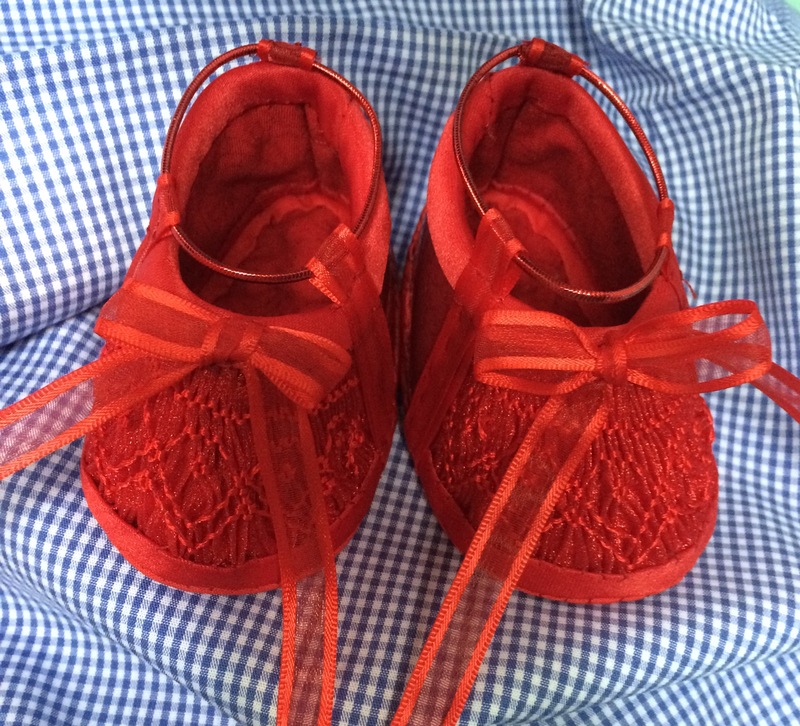 This version of Dorothy’s Slippers is smocked on a sparkly red organza (which is a dream to pleat & smock!) using satin floss (so much fun!). Matching satin is used for the bias binding & an underlining for the sheer fabric. Cotton is used for the lining & soles for comfort. 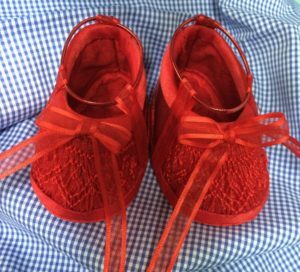 Round elastic cord is guided through loops made with sheer ribbon with satin edges. The same ribbon makes the bows. The contrast sides are made of sparkly red vinyl. One of the other views is suitable for a christening- photos are coming soon! Pre-orders will be available (with a special price) soon!